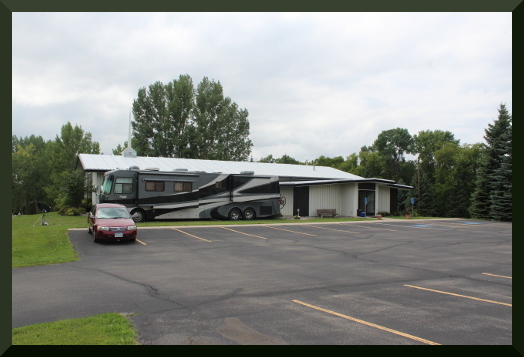 Our last Daily Vacation Bible School was August 2 – 7, 2015 at Woodland Baptist Church in Fergus Falls, Minnesota. Pastor Lobb is a board member of COME. It was good to see him again and help in this growing ministry. Because several of the churches in town were having VBS at the same time our numbers were very low. Yet! We work with what we have and enjoyed our time together with singing, playing games, and hearing some exciting stories from the Word of God. My four friends helped me tell my stories for the week and one child said that her favorite friend was Rosie. During the week several said verses and worked on their work sheets. One of the students even said all six verses with no help for 5000 points. For the closing program we sang several songs and placed styrofoam bricks on the table to show the kids how many points they made during the week. The winning team got a big candy bar and the second place winners got two small candy bars. Then we all went down stairs for tube steaks and potato chips. Please pray for Pastor Bill Lobb and his wife Amanda as they serve the Lord in Fergus Falls. During the week of July 26 – 31, we held a Daily Vacation Bible School at First Baptist Church in New Berlin, Wisconsin. Early in my ministry, I first met Pastor Wooden and his wife when I ministered in Albert Lea, Minnesota. 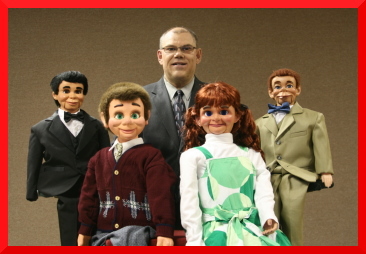 It was good to see Pastor Wooden again and help with their VBS. Each day the children faithfully attended, they worked on their work sheets and said their memory verses. The church people worked especially diligently in craft time. Instead of points they received Baptist Bucks and the kids used them to buy gifts from the general store set up in the back yard of the church. On Tuesday, we drove north to Fond du Lac to see our dear friends Tom and LeAnn Murray. It was good to see them again and share with them how God has been using us in the ministry of evangelism. They keep busy helping in the church and teaching in the Christian School. On Friday Ed and Connie Davis came to see us from northern Wisconsin. That morning Ed had a doctor’s appointment in Madison, so we enjoyed supper together and great fellowship. We hope to see them again when we are holding meetings in Knapp, Wisconsin later in August. You are currently browsing the Silcott Ministries blog archives for August, 2015.